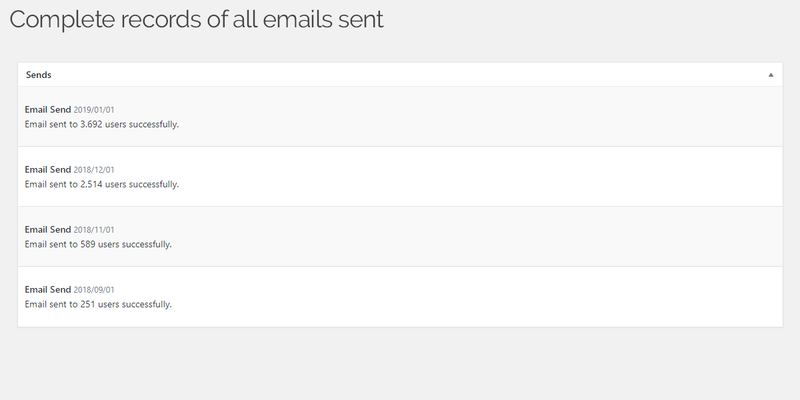 Send email digests periodically to keep in touch with your users. In just a few minutes, you will be able to build email digests to being sent daily, weekly, monthly or yearly. 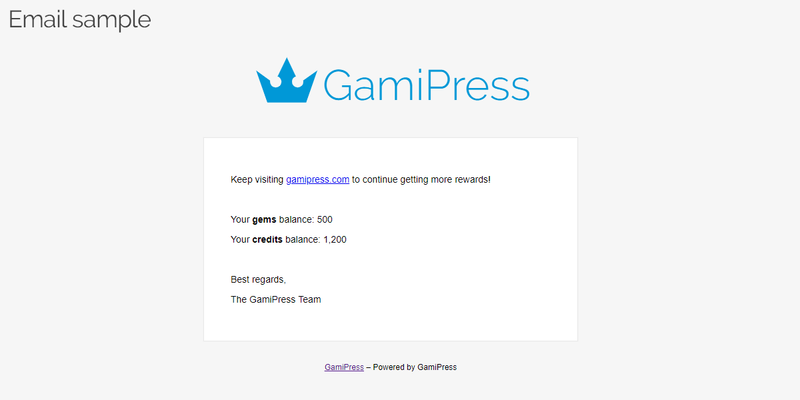 In addition, Email Digests includes a huge list of tags to let you display relevant information to your users like their current points balance, last achievements earned and current rank of any type. 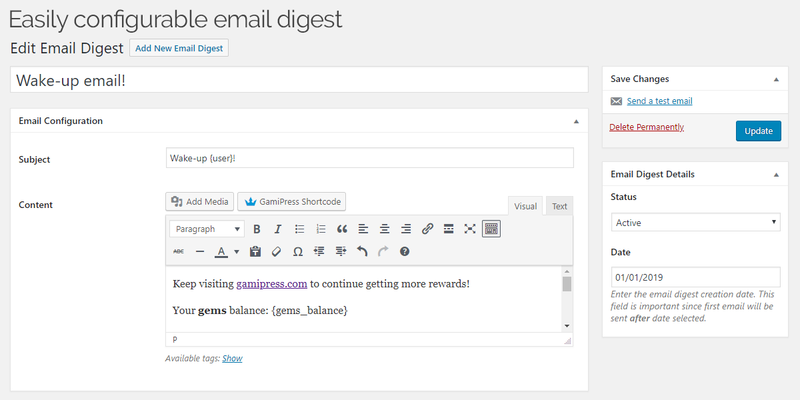 Send customizable email digests periodically to all your users. Set the periodicity you want: daily, weekly, monthly or yearly. 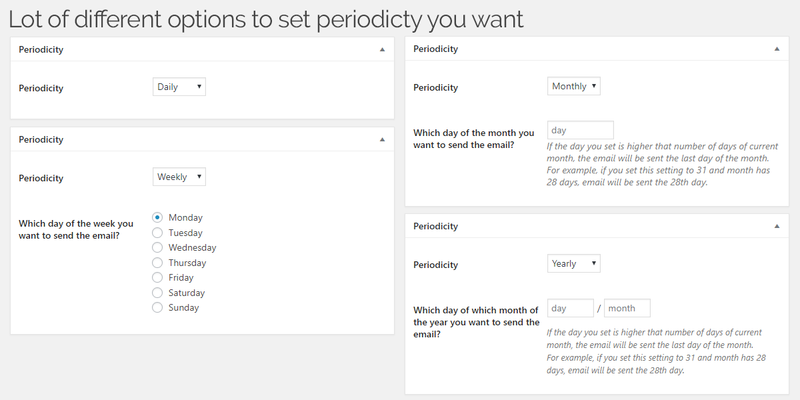 Lot of options to customize the periodicity letting you select the day, month and included the day of the week to send it. Complete record of all email sends. Ability to send a test email to yourself. Smart sending mechanism for performance.